Two former champions Robbie Lawler and Rafael Dos Anjos face off at UFC Winnipeg. 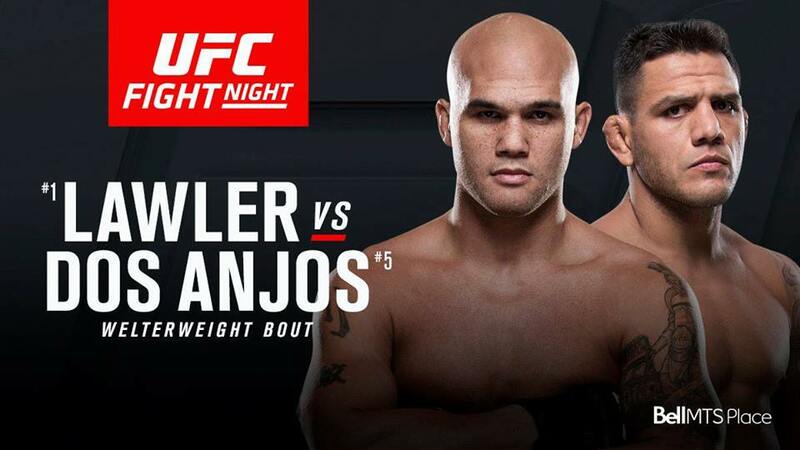 This will be Lawler’s second fight since losing the welterweight championship to Tyron Woodley last year. “Ruthless” rebounded from that setback with a unanimous decision win over Donald Cerrone at UFC 214 this past July. In his second stint with the promotion, Lawler (28-11, 1 NC) is 9-2, including a pair of title defenses against Rory MacDonald and Carlos Condit. Dos Anjos is undefeated in two contests at 170 pounds since making the move to the division in June. The 32-year-old Brazilian won the UFC lightweight championship from Anthony Pettis two years ago and defended it once before dropping it to Eddie Alvarez. Dos Anjos defeated Tarec Saffiedine by unanimous decision in his welterweight debut, then followed that up with a first-round submission win over Neil Magny at UFC 215.